Living large is what Acer’s new Chromebook 15 CB3-531 (ugh, that name) is all about. Announced Thursday at an event in New York, it’s one of the largest Chromebooks around, with a 15.6-inch display. 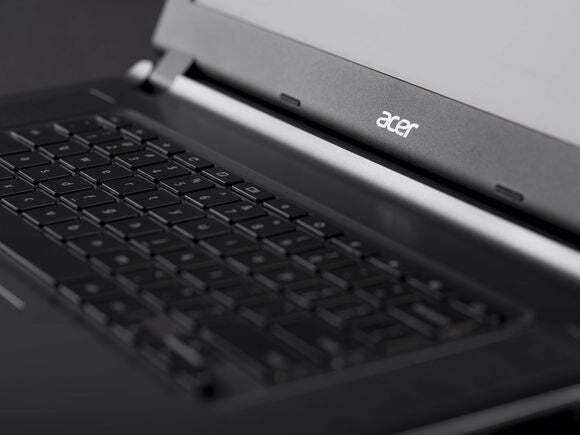 It may also be one of the longest-lasting: Acer claims the laptop can last 11.5 hours on battery alone. This new entry in the Chromebook 15 lineup ekes out all that endurance by staying modest. While the 15.6-inch TFT display is larger in size than the vast majority of Chromebook displays, it still rocks the same, ho-hum 1366x768 resolution you’ll find on most of those other displays. Lower resolutions mean fewer pixels to power, which results in a longer battery life—to the detriment of picture quality, of course. The Chromebook 15 CB3-531 is powered by Intel’s dual-core Celeron N2830 chip—another modest component—and 16GB of eMMC storage. Remember: Chromebooks are designed primarily to surf the web, so onboard storage isn’t a priority. Surprisingly, the laptop packs support for 802.11ac Wi-Fi, the cutting-edge, next-gen version of the technology. That’ll come in handy for a web-browsing device. Another bonus of the large screen size: Acer says the 4.41 lb. laptop has the largest touchpad of any Chromebook available today, along with reinforced construction to prevent accidental breakage. Port-wise, the laptop offers HDMI, a USB 2.0 port, a USB 3.0 port, and an SD card slot that supports up to 128GB of additional storage. Bluetooth 4.0 is onboard as well. 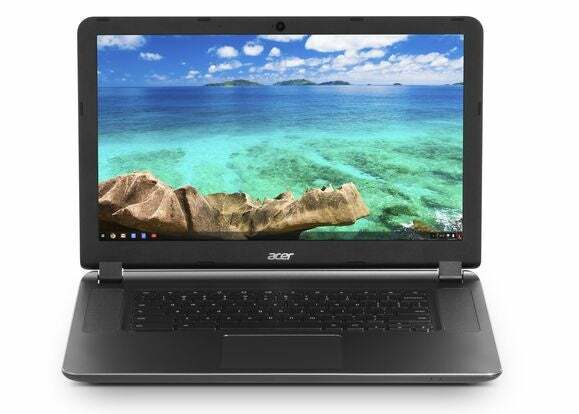 But the best feature of all may be the price: The Acer Chromebook 15 CB3-531 will cost only $200 when it hits the streets this June. That’s a mighty compelling price for a large-screen laptop, though Microsoft’s newfound army of cheap Windows-powered devices will no doubt find a way to counter-punch.